Lynn Anders defined soil sediment sampling as a process which occurs as an outcome of soil movement, also called as erosion usually by means of water. Moving water from sources such as stream, river or rainfall runs off over the soil surface and washes debris along with soil, and the soil components that settle down constitute soil sediments. Lynn also added that sediments entering water bodies, if toxic can harm aquatic life and hence it is important to sample and analyze soil sediments. What is the purpose of sampling sediments? CERP 2009 guideline explained that soil sediment samples describe conditions of the site from which they are collected. Ohio EPA collects sediments for different purposes such as chemical, physical, toxicological and biological analysis. Various reasons for collecting sediment samples that were highlighted by Ohio EPA have been explained in the following paragraph. Bioassays: Sediment bioassay samples are collected to evaluate the presence of toxicity that can harm aquatic organisms. Such samples can be obtained within a depth of top 10 cm of sediment surface by using instruments that cause minimum disturbance. 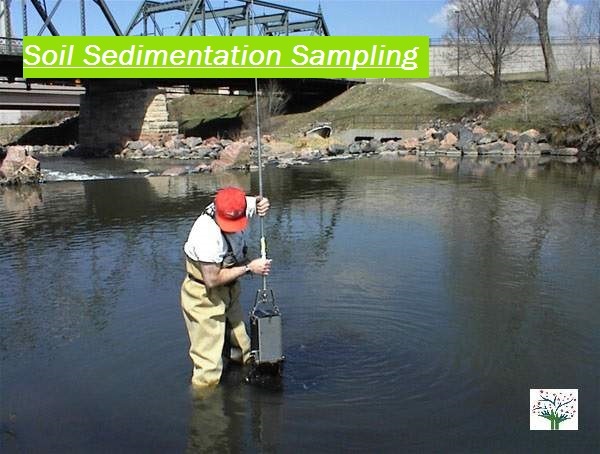 Biosurvey sampling: This type of sediment sampling is used during macroinvertebrate analysis, since macroinvertebrates are present in fine-grained sediments. 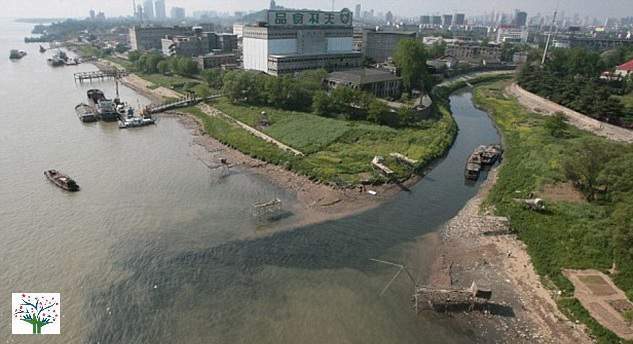 Monitoring: Chemical and physical analysis of sediments allow the monitoring of pollutants released into a river or lake. In these cases, the sample collection must be consistent with regards to sampling location and technique. Besides the above listed purposes, the Ohio EPA stated that sediments can be sampled for examining non-point pollution and pollutant source. Read more about What is Soil Fertility and How it can be improved? CERP 2009 guideline illustrated that devices used for soil sampling may differ from those used for sampling sediments and added that in some sites, sediments may be present beneath a water body and in those cases, sampling of sediments must be performed carefully causing minimum or no harm to the site and avoiding loss of sample. The guideline also suggested to design a sampling strategy according to the purpose of the analysis, and mentioned various methods of sampling soil sediments. For example, sampling at depths can be carried out by an auger, core sample or dredge, which have been explained below as mentioned in the CERP guideline. These soil sediment sampling techniques can be followed for stream, river, marine sediment sampling. Grab samplers: These consist of jaws which close by a trigger when impacted with bottom surface. Grab samplers can be used to collect large quantities of sediment samples at one go. However, the sampling depth is unpredictable. 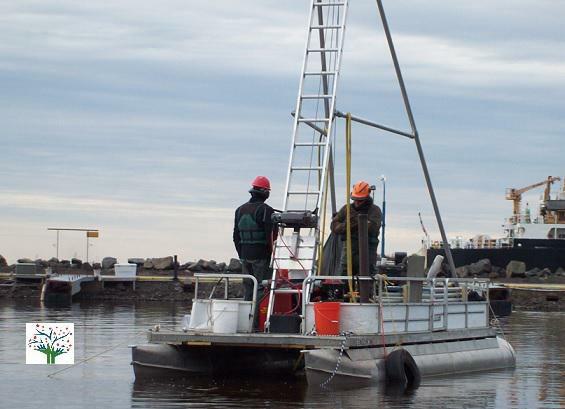 Dredge samplers: They are instruments which sample surface sediments linked with benthic fauna and are not recommended for sampling sediments because they make it difficult to estimate the area of the site sampled. Core samplers: Auger or tube-like devices act as core samplers that can be inserted within certain depths of soil or directly into the sediments producing box or cylinder-shaped samples. Core samplers may be expensive and require muscular strength to collect the samples. As per USEPA 1999, soil core samples must either be immersed in methanol or stored in vials or air-tight containers after collection, to provide accurate results during analysis. Ohio EPA suggest that since sediments vary in their characteristics, it is essential to employ appropriate collection techniques, keeping in mind the purpose of sampling, sediment location and sediment properties. A method recommended by Ohio EPA is sediment oxygen demand (SOP) which is an in-situ method for measuring oxygen utilized during the biochemical decomposition of organic materials in lake or stream sediments. SOP enables the understanding of the performance of pollutant control or can act as an input for application of water quality models. According to Victoria EPA, soil sediments can be best collected from places where fine materials accumulate and suggested that in case of organic or inorganic analyses, sampling devices must be built from metal or plastic. Victoria EPA also recommended that in the lack of sediment, multiple grab samples can be collected. Learn more What is Environmental Monitoring? Ohio EPA declared in 2001 that collectors of soil sediments must take precautions such as avoiding skin contact with any sediments and inhalation of odor. Also, if the source of soil sediment is contaminated, additional safety measures must be employed. 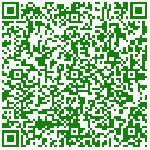 Thank you for sediments sampling information.